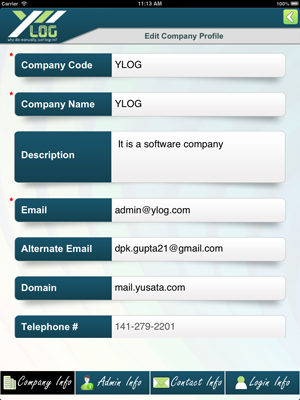 Ylog is a smart phone/device app to support individual or business to maintain their driver logs. 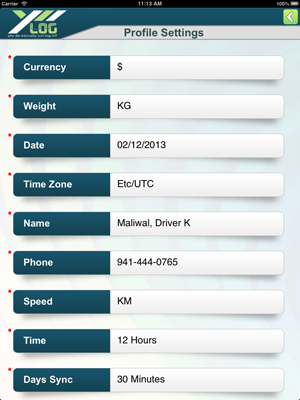 It is the replacement of manual log entry of drivers. Using this driver can easily and quickly maintain their logs to get more accurate graphs and reports. Ylog supports GPS, using that Administrator can trace all vehicles and drivers at real-time. Vehicle log used to trace vehicle positions. Administrator can analyze reports to manage business working. An administrator can easily dispatch trips and can schedule according the drivers. 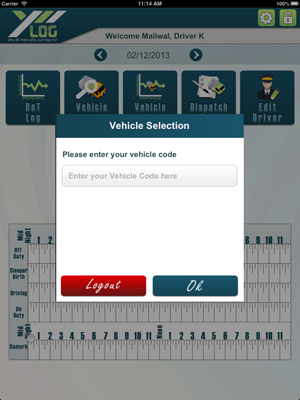 During trips administrator can know the position of Vehicle and Driver both. That helps to maintain day to day schedule of vehicles and drivers. Ylog also supports different Departments of Transportation Rules and Regulation. To maintain all laws system automatically sends mails and alerts to administrator and driver to minimize rules violations. Using this functionality administrator or driver keep away themselves from the punishment of rules violations. • Ylog supports driver to sync his/her all data to server database. 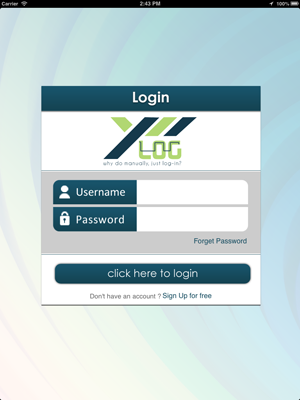 User can login with user name and password. Admin can view registered driver. 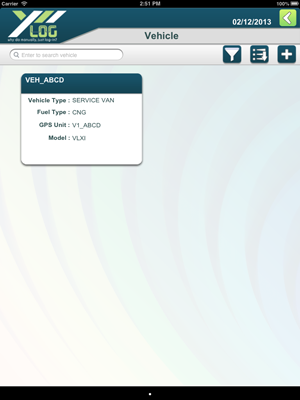 Admin can view, add, edit new and registered vehicle. 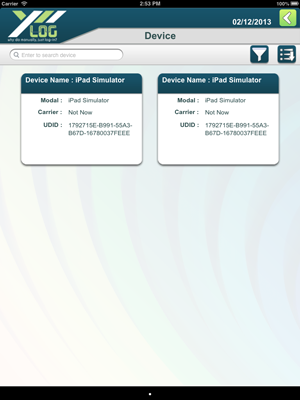 Admin can view deatils about the registred devices. 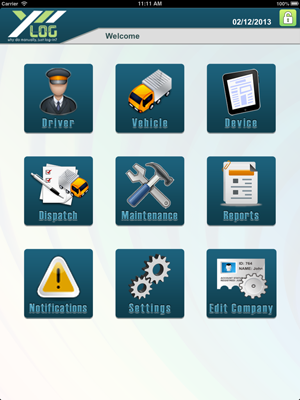 Admin can add,edit,view driver, vehicle, device, dispatch, report etc. Admin register driver and creates its login id and password. 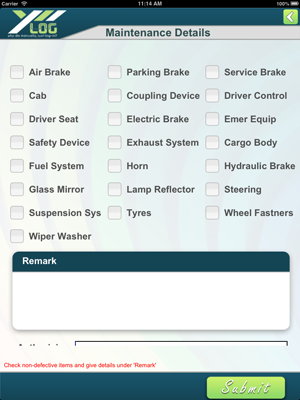 Admin can register vehicle with detail such as vehicle number, type, gps unit no, mrg year, fuel type etc. 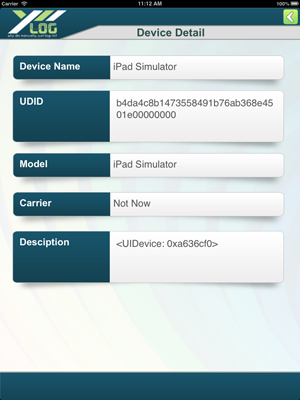 Admin can view registerd devices detail such as name, udid, model, carrier, description. 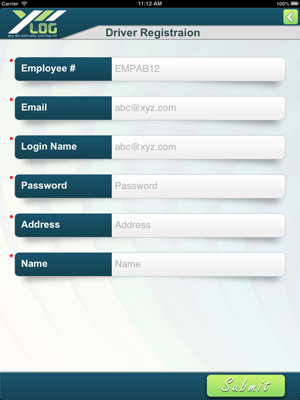 A New company registerd after filling its details and use app. Admin, user and company can set their default profile setting. 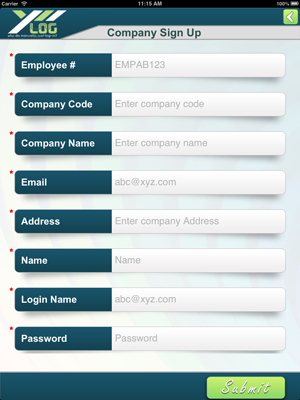 Company can edit its some details in profile after login. 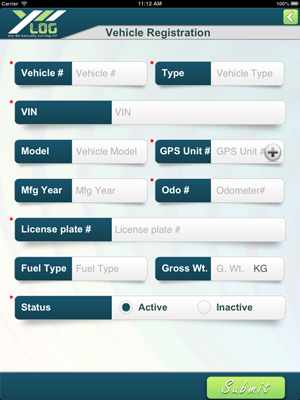 Admin can view any selected vehicle log and select another. Admin can View and edit maintenance details.